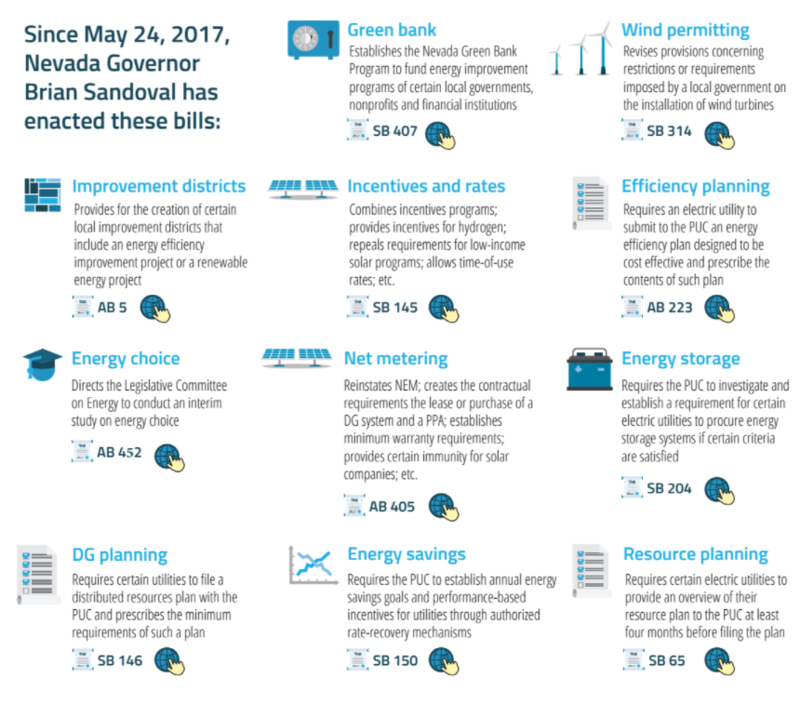 Nevada Governor Brian Sandoval has vetoed legislation that would have increased the state’s renewable portfolio standard (RPS) and created a community solar program. However, he approved a suite of nine clean energy bills, pushing the state policy towards clean energy. The legislation comes in anticipation of energy market restructuring through a ballot measure in 2018. 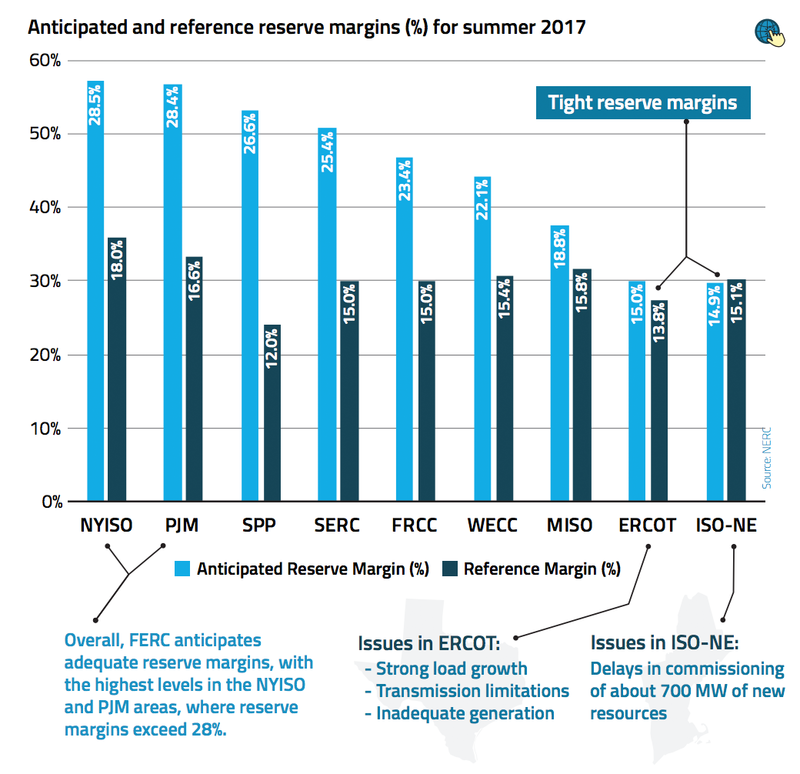 FERC’s 2017 summer assessment forecasts tighter supplies in New England and Texas while anticipating adequate summer capacity in most regions. Increased hydroelectric generation from heavy snowpack levels is expected to mitigate risks from limitations at the Aliso Canyon natural gas storage facility in Southern California. Natural gas futures prices are expected to rise due to lower storage inventories, decrease in production rates, and above normal temperatures. 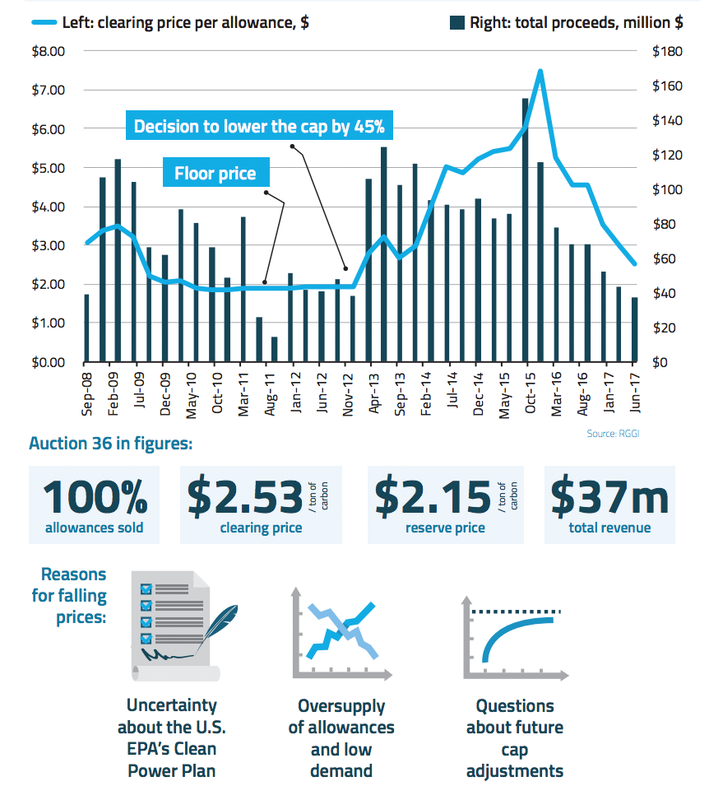 Clearing prices in the June 2017 RGGI auction dropped to their lowest level in over four years, marking a sharp turn from the December 2015 auction which had reached a record high. The decline in prices can be attributed to uncertainty about the RGGI program after 2020 with regard to the future value of emissions allowances, as well as uncertainty over the future of the Environmental Protection Agency's Clean Power Plan. 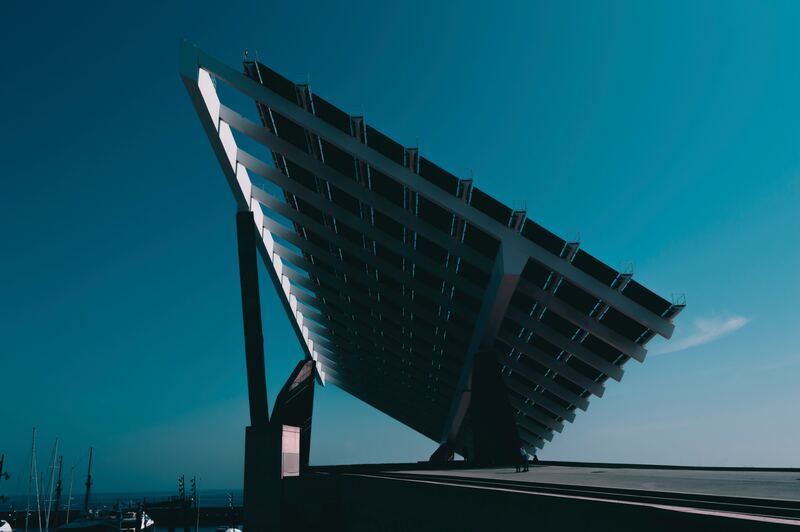 RGGI’s emission cap must extend at least until 2030 to provide certainty for market participants who are bracing for the end of the program currently slated for the end of 2020.